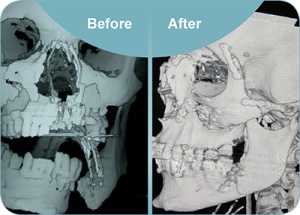 Fractures of the face, eyesockets, jaws and cheek bones are usually repaired in the first few weeks after injury. Charles Davis has performed over 1000 operations for facial fractures. Some facial fractures will require further treatment after the initial injury because of the severity of the injury or nearby soft tissue injuries. In many cases this treatment is covered by ACC. Displaced or missing tissue. Fat grafts, scar revisions and face lifts.